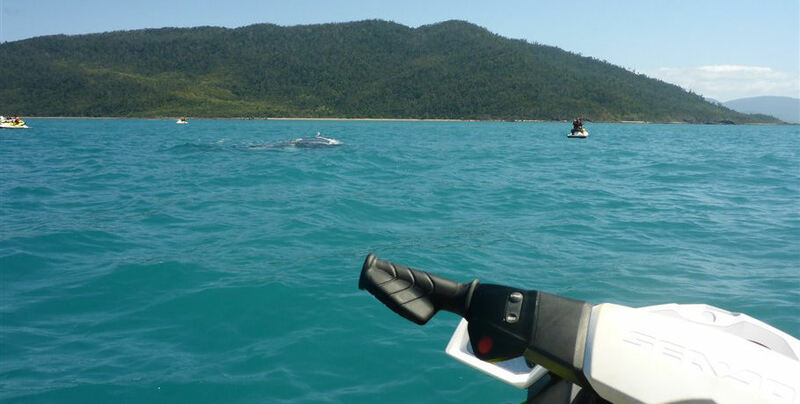 The 2 Island Safari from Whitsunday Jet Ski Tours will take you on an exciting and adrenaline filled adventure through the beautiful Great Barrier Reef Marine Park. 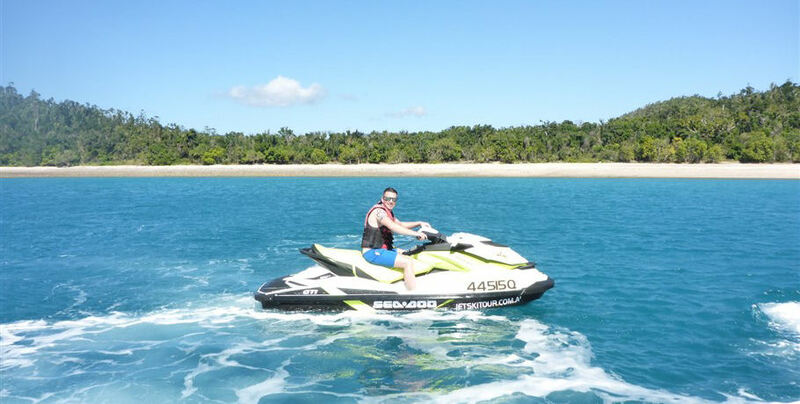 They will make sure you have the maximum amount of time on the water while also getting to explore incredible sights on stunning South Molle Island. 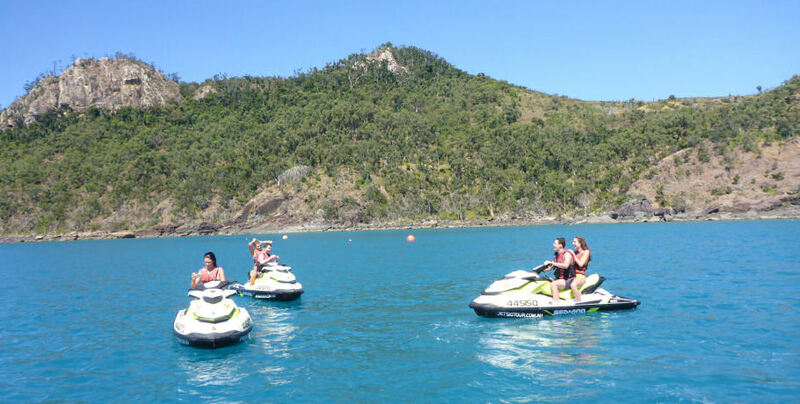 See Airlie Beach from a different perspective with this spectacular tour through the Whitsunday Islands. 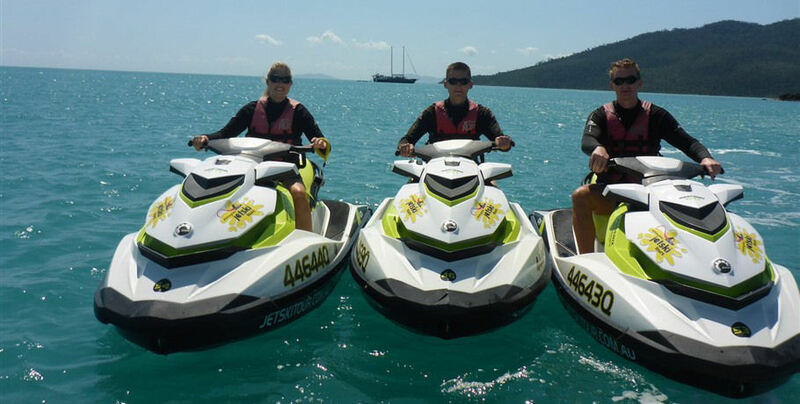 The Whitsunday Jet Ski courtesy bus can collect you from your Airlie Beach accommodation and take you to their check-in office at Abell Point Marina or you may make your own way there. Please arrive 30 minutes prior to your scheduled departure time. 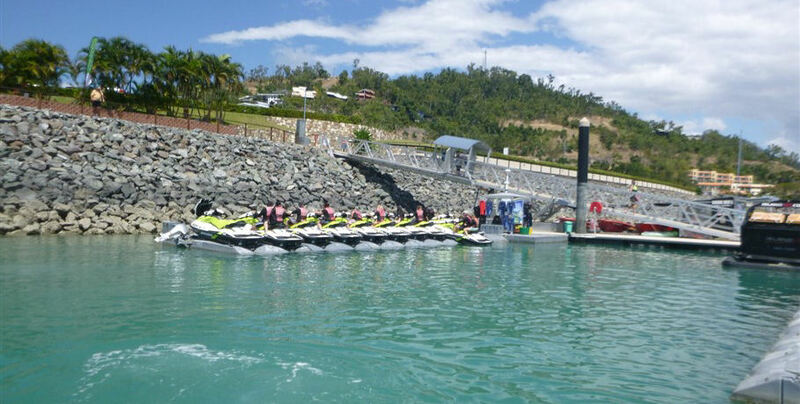 Your friendly crew will provide you with a safety briefing as well as a comprehensive induction to the jetski. 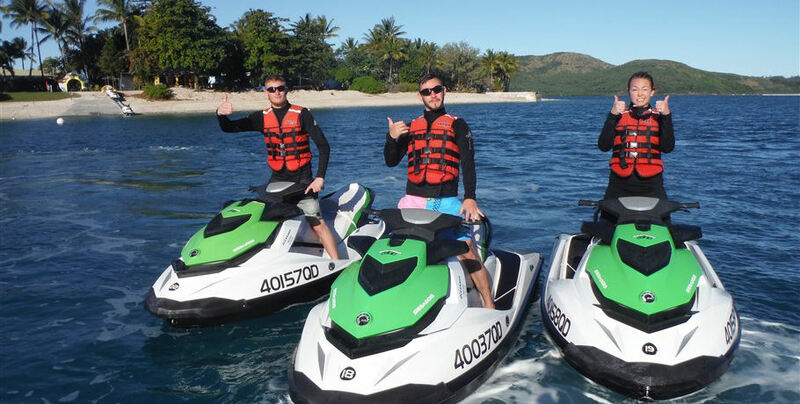 After putting your belongings into their safe lockers, you will be shown down to your designated jet ski. Your guide will conduct a water tuition before beginning a slow drive past the berthed vessels as you become familiar with your vehicle. 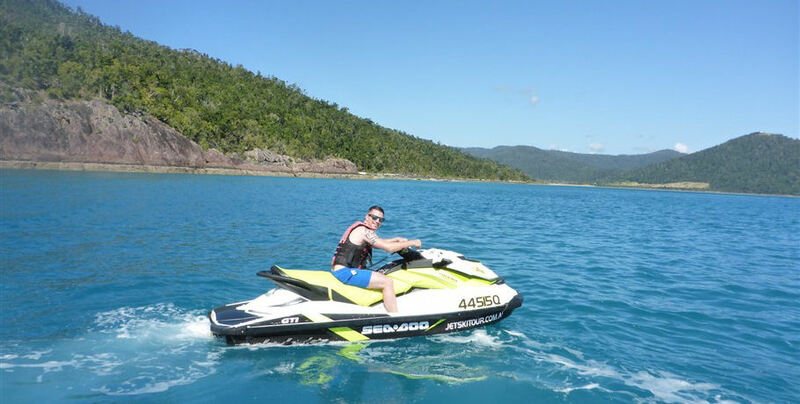 Jet ski through open waters towards South Molle and Daydream Islands (weather depending). 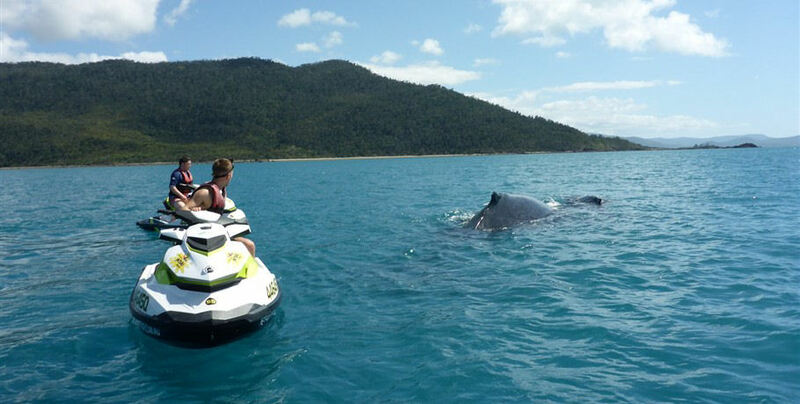 Your guide will ensure you have an exciting and safe time on the water no matter what day it is. 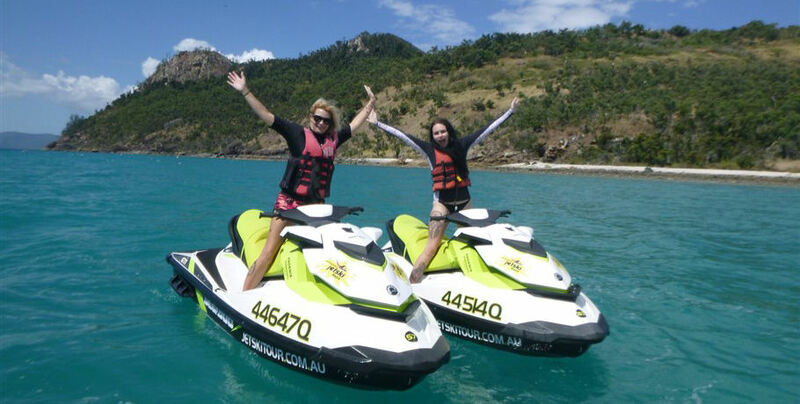 After your incredible tour, make your way back to Abell Point Marina to collect your belongings and enjoy a courtesy bus back to your accommodation.